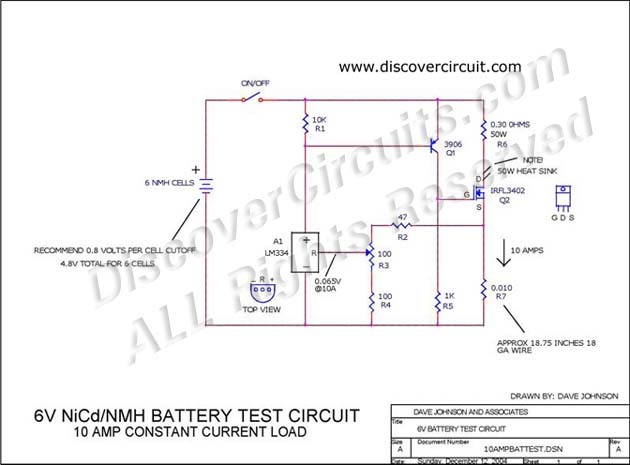 I designed this circuit to test rechargeable six volt battery packs under constant current conditions. As designed, the circuit applies a 10 Amp load to the battery pack. A heat sink must be used on the main power transistor.